The Sleep of Monsters – or SOM for short – released their debut album Produces Reasonin Finland in November 2013, entering the national Top 50.  In November 2014, Svart Records licensed the album for the international underground, where it became a hot tip for those in the know, gathering rave reviews around the world. To celebrate its release, the band played Tavastia, Helsinki, in January 2015. When the band started their set with Ike performing the Lesser Banishing Ritual of the Pentagram, a violent electrical fire broke out in the shopping mall across the street. They promised not to do it again. SOM marks the return of vocalist and lyricist Ike Vil, the morose mastermind behind the lauded death rockers and occult rock pioneers Babylon Whores. Vil teamed up with guitarist and main songwriter Sami Hassinen, formerly the guitarist of Blake, drummer Pätkä Rantala, who played on HIM’s million-selling debut, and keyboardist Janne Immonen, who has toured extensively with Waltari and Ajattara. The sound of SOM is completed by the trippy guitar of Uula Korhonen and the thumping bass of Mäihä, who also handles backing vocals, and last but not least, by the witchy voices of their own “Furies”: Hanna Wendelin, Nelli Saarikoski and Tarja Leskinen.